As recruitment specialists, we assure you only valuable and eligible candidates that possess characteristics of productive employees. We ensure they merge into the fabric of your company without any hindrance, so as to impact your organization positively. 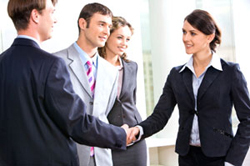 To help retain successful partnerships we promise you incomparable service that our company thrives upon.